The cost of using this outdoor facility is 3 Baht (which is roughly equivalent to 10 cents). The fare must be paid to a female attendant, who oversees the use of the open-air facility. 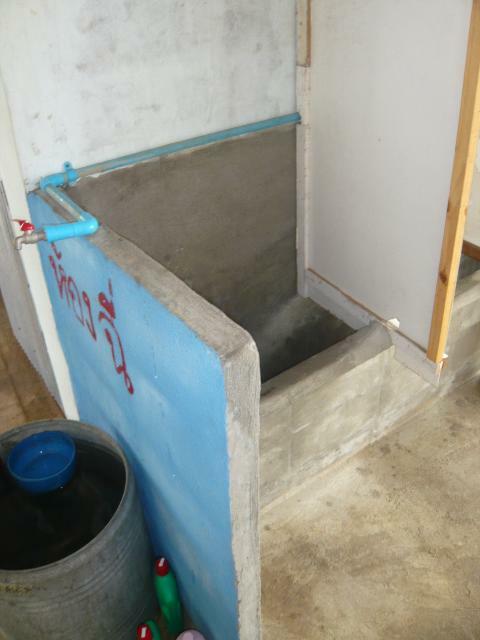 She also instructs the customers to flush this concrete fixture with a bowl of water, which is visible in the left part of the photo.